The Breeders are an American rock band, formed in 1988 by Kim Deal of Pixies and Throwing Muses' Tanya Donelly in Boston, Massachusetts. After those original bands became less active, The Breeders became more important to both artists. A tape was sent of their original demos to Ivo Watts-Russell, who immediately signed the band to his 4AD label in 1989. Their debut album, "Pod", was recorded by Steve Albini and released on 4AD in 1990. Deal's influence is obvious, but bassist Josephine Wiggs and Slint drummer Britt Walford (credited here as Shannon Doughton) add to the ensemble sound. By the release of the four-song EP "Safari" in 1992, Deal was done with Pixies and had enlisted her twin sister Kelley Deal to play guitar for the Breeders. Donelly exited the band to form Belly, and drummer Jim MacPherson joined in time for "Last Splash" in 1993. The album spawned the hit "Cannonball." In 1995, Kelley Deal was involved in a drug bust, so sister Kim formed the side project The Amps with MacPherson, bassist Luis Lerma (member of Dayton, Ohio band The Tasties) and guitarist Nate Farley, who later joined Guided By Voices. The Amps released the album "Pacer" in October of 1995. Following drug rehab, Kelley started the The Kelley Deal 6000 and also formed the unlikely Last Hard Men with Skid Row singer Sebastian Bach, ex-Smashing Pumpkins drummer Jimmy Chamberlin, and Jimmy Flemion of The Frogs. Rumours of Kim Deal reuniting with the original band continued to circulate in the 90s, although the only material to surface was a cover of "Collage," recorded for The Mod Squad soundtrack in 1999. 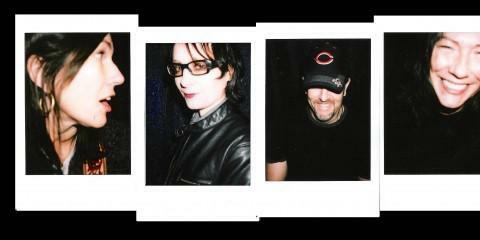 The Deal sisters recruited new personnel to play several live shows in 2001, and returned to the studio with guitarist Richard Presley, bass player Mando Lopez and drummer Jose Medeles to record the third Breeders studio album "Title TK" with Steve Albini. 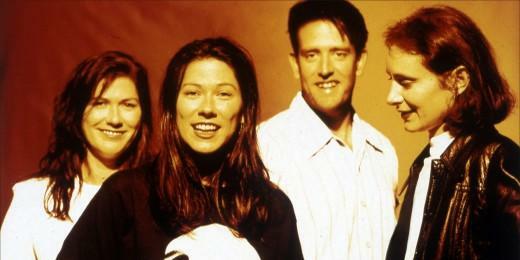 The Breeders were also recruited, in early 2002, to perform in an episode of Buffy the Vampire Slayer. They were approached by the production staff, after they had been performing the show's theme, originally written by Nerf Herder, as a regular part of their concert set for a long time. The episode is entitled Him, and aired November 5th of 2002. In 2004, Warner Music Group announced plans to drop the Breeders from their label following low album sales of "Title TK." The decision came with Warner's plans to drop several other artists as well. The new album called "Mountain Battles" was released in the first half of 2008. The band lineup is the same as Title TK, minus Richard Presley. The Breeders' third EP, Fate to Fatal was released on April 21, 2009. It contains a Bob Marley cover ("Chances Are") and a song with vocals by Mark Lanegan. The title track was recorded at The Fortress Studios, London, by The Go! Team producer Gareth Parton. The music video featured the Arch Rival Roller Girls, a St. Louis roller derby league. After a 10 year gap, The Breeders released the album "All Nerve" in 2018. Interestingly, they are back to the lineup that they had on "Last Splash" 25 years earlier: Kim Deal on vocals, guitar, and keyboards, her sister Kelley on guitar, bassist Josephine Wiggs, and drummer Jim MacPherson. Read more on Last.fm. User-contributed text is available under the Creative Commons By-SA License; additional terms may apply.